OPAL Translation is the most affordable choice for NAATI certified translation services in Newcastle. Our Newcastle translation services are available in all languages and are all backed by our 100% Acceptance Guarantee. Getting a quote is free, so why wait? We are proud to be a high-quality NAATI certified translation services provider. We are an accessible service for all Newcastle residents. The best part about is that you don’t even need to leave your home to access our NAATI certified translation services. Simply order today online! At OPAL Translation, we work closely with our clients to provide quality and reliable Newcastle translation services that will not only satisfy their requirements but also exceed their expectations. For more than five years, we have only finished translations that have a 100% acceptance rate by authorities who ask for NAATI certified document translations. We have translated hundreds of documents for individuals, government, businesses, law firms, community organisations, marketing agencies, and immigration courts. What language can you translate my documents to? We provide Newcastle translation services in all languages. We support translations from any language to English and English to any of the languages below. Some of the most favoured language choices for our Newcastle clients include Vietnamese, Chinese, Arabic, Spanish and Greek. Our experienced translators are all NAATI certified, so you are confident that your translation is free from any embarrassing mistakes. We translate any document type. We have translated thousands of documents such as degree certificates, birth certificates, driving licenses, diploma certificates, ID cards, and marriage certificates. Personal document translation is a speciality of our Newcastle translation service. Of course, our professional translation services are not just limited to personal documents. A large segment of our projects is larger business and government-related translations. Send us a photo or scan of your document via our enquiry form, and we will email you a detailed estimate within 15 minutes. Depending on the document’s length, it takes our translators to finish one document in 2-3 days using our Standard Newcastle translation services. If you are in a hurry, we provide Instant and Express Newcastle translation services to accommodate your deadline. Just inform us of your deadline via our enquiry form or our 24/7 chat support. We’ll be happy to help you. Want to learn a little bit of information about Newcastle that you didn’t previously know? Newcastle holds the famous title of having the first lighthouse on the east coast of Australia. The lighthouse named Nobbys Lighthouse was turned on in 1858. 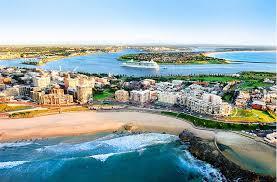 Newcastle is the second largest city in New South Wales based on population with 140,000 residents. Love beaches? Well, you’re in luck. There are six beaches within a 5-minute drive from the Newcastle Central Business District – how cool is that! Do you love Hawaii? Well, sand from dunes in Newcastle is exported to Hawaii! Coal exports are a huge part of Newcastle’s economy. Newcastle port is the world’s largest coal exporting post. That’s a lot of coal! Documents such as death certificates, birth certificates, marriage certificates, licenses, police checks, and diploma certificates are classified as standard documents. These documents are priced at a per page rate starting at $69. If your documents are non-standard, pricing is at a per 100 word rate. To get an exact quote, send us a scan or photo of your document and we will email you a detailed estimate within 15 minutes.